It’s 6pm and you’re on the late shift in the dispensary. 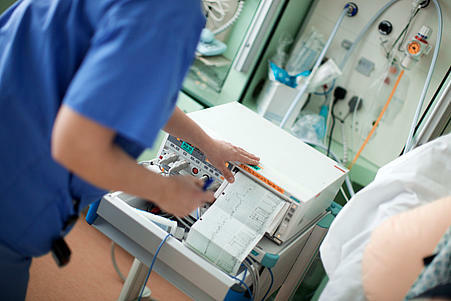 A nurse calls in requesting some gentamicin injection for a patient who is 10 weeks pregnant and has suspected sepsis. The patient has already received the first dose and the next is due in 2 hours’ time. You review the prescription and the dose prescribed is 1.5 mg/kg three times daily. You know that your hospital policy is usually to use extended interval gentamicin for sepsis rather than conventional dosing and you question this with the nurse. She is unsure and so you agree to look into this and give her a call in the next 30 minutes. You also want to check the appropriateness of using gentamicin in pregnancy. A scan of the manufacturer’s prescribing information reveals that if gentamicin is clearly indicated during pregnancy then it may be given. Other sources agree that for maternal sepsis, gentamicin is appropriate in combination with other antibiotics. Reassured by this information, you try to establish whether it should be given as a single daily dose or as conventional dosing. Your hospital sepsis guidelines aren’t helpful and your pregnancy resources don’t cover dose and administration. However you do discover that gentamicin kinetics are altered in pregnancy due to the increase in glomerular filtration rate and plasma volume, and that therapeutic levels can sometimes be difficult to achieve. An internet search reveals a Royal College of Obstetrics and Gynaecology guideline which advises giving gentamicin as a single daily dose, but you also find multiple sepsis protocols from NHS hospitals across the UK which recommended conventional dosing for pregnant women. Faced with this conflicting information and an approaching deadline you discuss this with your senior pharmacist in the dispensary. She helps to provide some perspective in that before extended interval regimes were introduced, all patients would have received multiple daily dose regimes. Therefore this patient’s prescription is not unsafe, but may not represent current practice. Since the patient has already received a dose and is due a further dose soon you decide to supply the gentamicin with a view to following it up with your obstetrics pharmacist in the morning.